In most walks of life, rugged individualism is a virtue. No wonder so many investors still seem so determined to beat the odds by trying to pick the very best individual stocks (and avoid the stinkers). Unfortunately, the odds are stacked so high against these sorts of financial heroics, you might as well be buying lottery tickets versus trying to consistently outperform the long-term returns everyone can expect by embracing an evidence-based investment strategy. 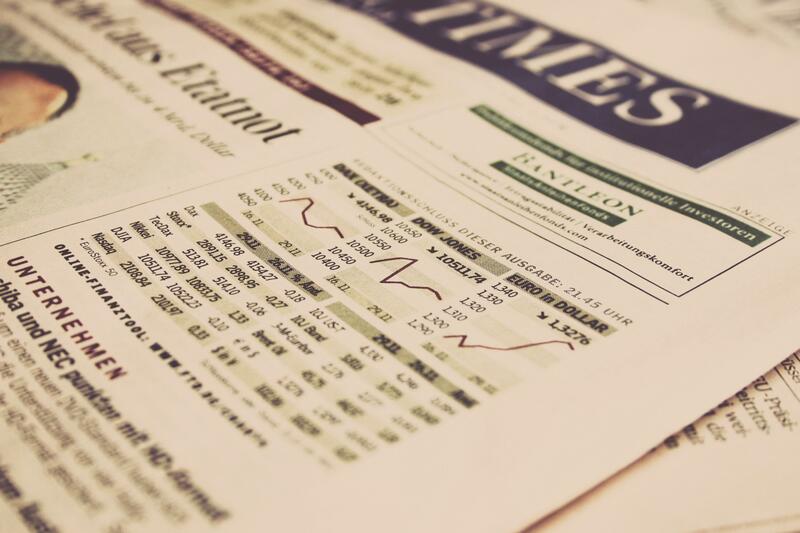 I’ve posted on this subject before, in “How understanding statistics can make you a better investor.” Today, I want to take a closer look at why individuals should still avoid picking individual stocks – and, briefly, what you can do instead to come out ahead. There are numerous real-life illustrations that have crossed my path over the years … generally on opposite ends of the spectrum. On one extreme, there is using some mad money to buy shares (usually penny stocks) in an emerging technology or fad. The other extreme is cashing out a well-diversified portfolio and putting everything into one illiquid investment, promising high yields, but with significant hidden risks (mostly private real estate recently). Often, these individuals would like me to help them with the transaction. I won’t do that. While I can’t stop them from proceeding without me, I can vehemently advise against it. If they’re a client and they still insist on getting in on the deal, they can do so directly, through a discount brokerage account. Why am I so grumpy about it? I couldn’t claim to be offering anything remotely akin to best-interest financial advice if I weren’t highly skeptical of investment “opportunities” that conflict with everything I know about how capital markets work. I can assure you, every bit of evidence I’m aware of (based on more than six decades of peer-reviewed, academically grounded research) informs me that dumping your entire nest egg into a single, risk-laden venture flies in the face of good advice. Alright, so maybe you’re already with me on not staking your entire life’s savings on a single bet. But what about that modest stake in a penny stock? Is there any harm done in throwing a bit of fun money at a venture that, at worst, won’t ruin you; and, at best, just may pay off? This is where I see people running aground, even with seemingly “harmless” penny stock ventures. In my experience, if they happen to lose their stake, they tend to justify it as a “nothing ventured, nothing gained” adventure, especially if they weren’t hurt too badly. Based on my 25 years of experience, the vast majority of individual stock-pickers not only underperform the general market, they typically lose capital in the long-run. Recalling the casino analogy, even if you win a “hand” or two, the system (capitalism) is essentially set up so the house (the market) comes out ahead in the end, regardless of which players (investors) win or lose along the way. Anecdotal evidence aside, I’ve got data too. The illustration below shows, even professional money managers who manage to beat the market over the previous 3 years, only have about 1:4 odds they will do this again. A recent piece by a Bloomberg Opinion columnist reached similar conclusions. He reported how an S&P Global analysis of more than 2,400 U.S. investors’ returns, found that fewer than a third beat their benchmarks during the three years prior to 2015. Then, only a single-digit percentage of that outperforming minority managed to sustain their winning streak during the subsequent three years. To pile on even more pain, in my experience, most of the stocks that appeal to stock-picking individuals tend to be the extreme, small-cap, hyped-up stocks. That is, they tend to be the exciting ones that woo the unwary with promises of “get rich quick” opportunity. Unfortunately, there is evidence that the long-term expected return of these particular types of stocks is horrible. They fit into a bucket of companies that are small in size (small-cap), with high valuations (i.e. high price relative to earnings or book value etc.) and low profitability. 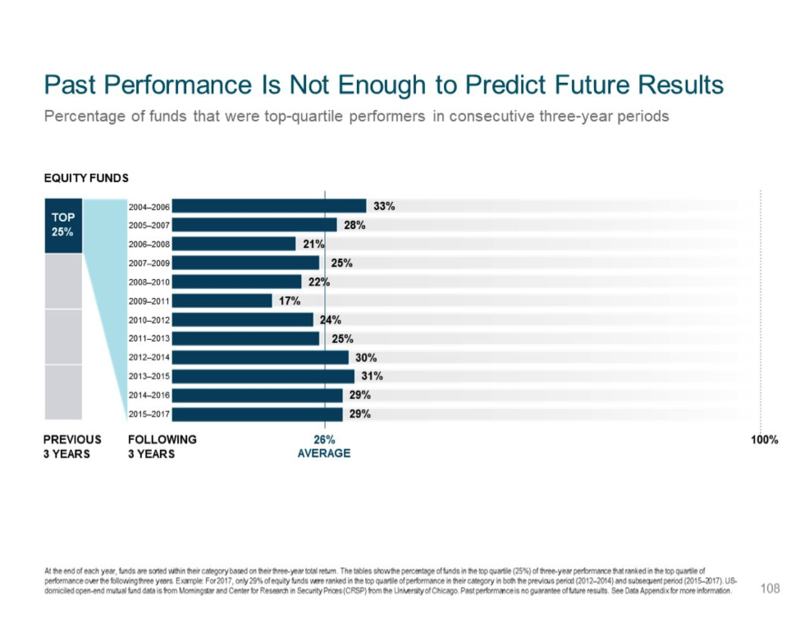 To cite one analysis, Dimensional Fund Advisors recently took a closer look at this bucket to determine how it has held up over time. They found that including an extra helping of small-cap stocks in a portfolio could be helpful for many investors, offering diversification benefits as well as an extra expected return (premium) over large-cap stocks. But, this same analysis demonstrated that, to expect to receive that premium, investors needed to first exclude small-cap growth stocks with low profitability. That is, they needed to weed out exactly the types that tend to tempt many individual stock-pickers. Without the growth/low-profitability factors, the small-cap premium was just over 4% per year from 1964–2017. With them, the premium disappeared. If it’s a financial pro, are they part of a big bank or similar institution that likely has interests beyond yours for promoting one opportunity over another? Is it someone with a stake in the investment, who stands to profit if the buying demand remains strong? Is it a friend or neighbor who may mean well, but who does not know what you now do about the critical differences between investing versus speculating? Is it any of these? Or is it an experienced financial advisor following an evidence-based strategy and a fee-only compensation model that is committed to helping you invest according to your best interests? Guess which advice I’d recommend? It’s not really that I’m grumpy. (Okay, maybe a little.) It’s not that I enjoy raining on an individual investor’s stock-picking parade. It’s that my motivation is to help people actually beat the investment odds, instead of just hoping they will. Here’s my big secret to do just that: Stop trying to beat the market by picking individual stocks; over time, the odds are steeply against you. Start trying to enjoy a successful investment experience by building and maintaining a low-cost, globally diversified investment portfolio that reflects your goals and risk tolerances. Since there are so few investors who achieve this simple aim, you’ll be way ahead of the crowd in no time.